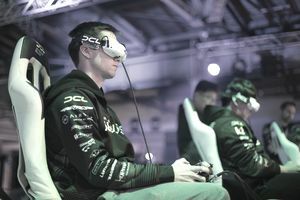 The video gaming industry has caught on among both teenagers and adults alike and has created numerous jobs for people who find themselves fascinated by the process. Talk about following your passion! If you find yourself spending hours on end playing your favorite video games, a career in the video game industry might just be the right career for you. Video and computer games have become one of the largest segments of the entertainment industry. As can be imagined, careers in video gaming are on the rise and are also very competitive due to the thousands of people who would like to land a job in an industry doing what they love. To get started there are also many internships available in the field of video gaming such as those at Sony and TimeGate Studios. Game developers are just what they sound like, individuals who make video games. The talents of many people go into creating a game. These include but are not limited to: software developers, game designers, programmers, and testers. A programming team is usually involved in creating a computer program through the planning and coding of the software. Within the programming team, there may be individuals included with the following titles; graphics engine programming, artificial intelligence programmers, and tool programmers. Programmers are responsible for translating ideas using numeric equations. The video game industry is highly competitive. Programmers with 3-D skills and artificial intelligence expertise are in the highest demand in the industry. One of the prerequisites to become a programmer is excellent math and computer skills. Courses in trigonometry, linear algebra, and analytical geometry are all extremely helpful when thinking of becoming a programmer in the video gaming industry. Game programmers must possess skill and experience using C and C++ languages which are the ones most often used in the industry. In the initial stages of developing a game, the design team creates a document that lays out each and every aspect of the game. The design team is the group that is responsible for writing the game concept, developing the action of the characters, and establishing the elements in which to play the game. Computer animation and graphic design are an integral part of the design team. Also as part of the design team, the artistic team works to create the images, compose the music, and generate the sound. It is the design team that makes the game entertaining for players. The designers can be referred to as the storytellers, but it is the players who are allowed to control the game and decide on the outcome. It is the artists who create the graphics that end up producing images on the screen. The concept artists then draw sketches and storyboards to enhance the artist’s ideas. Character artists design and create the characters on a whiteboard, while it is the animators who are responsible for making the characters move by creating personalities through their facial and body movement. The artists will then proceed to build the characters using modeling software on the computer. The background artists create the backdrop for the game and begin the process by drafting what they envision out on paper. Artists then build these creatures on the computer using modeling software. Animation creates the personality of the character through facial and body movements. Background artists create the background and draft it out on paper. Game artists need visual imagination. They find their inspiration by observing, studying movies, comics, and fine art. They love to experiment with new ideas. Most have formal training in fine arts or an arts-related field. They may study drawing painting, color theory, sculpture, and graphic design. Moving from the actual artwork, the sound designers are those individuals who compose the music and create the sound that’s included in the game. To create the right mood for the game, sound designers must work very closely with the game designers to provide the right music and sounds to enhance the players' enjoyment of the game. To be a designer you must possess excellent communication skills, have a strong ability to write, and be able to communicate ideas clearly. Sound designers must be musically creative and have some familiarity with all kinds of different music. Sound designers must also understand the basics of computer hardware and software and understand the work of the programmers working on individual projects. A degree in music and a basic understanding of music theory and composition are also very helpful if not a requirement for the job. To be a game tester, there are no major requirements. Of course, an interest in playing video games for hours on end with an ability to spot errors that occur in the game is the minimum of qualifications. Writing and communication skills, computer experience, and a college education may be required for some of the more competitive jobs.